Despite creators continuing to run into issues with how YouTube is running things on the back-end, that has not changed the service from being any less useful. 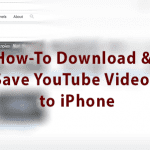 YouTube is one of the most entertaining apps available on the App Store, but there are a few tricks hidden up its sleeves. A few months ago, the app saw a bit of decrease in usage and downloads due to battery issues that plagued devices. This forced Google to update the YouTube app, and with the update to version 12.45, those battery problems are now fixed. Moving onto the fun stuff, we’re going to take a look at some of the hidden tips and tricks to make YouTube worth even more to you. 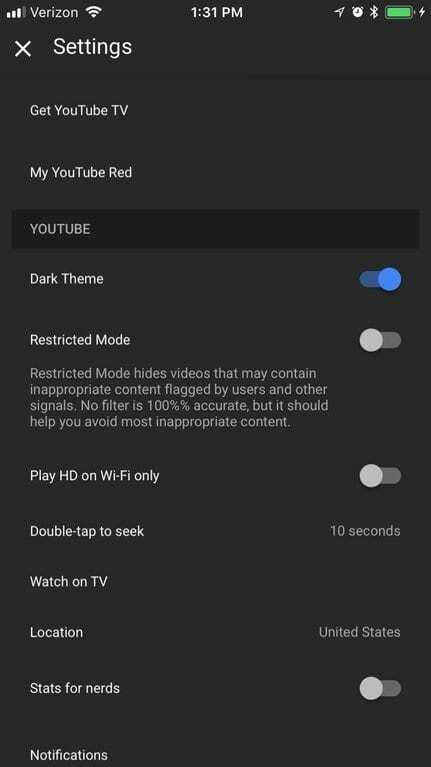 3 Get YouTube Dark Mode now! Although more carriers have been introducing “unlimited” plans, there are still folks who can’t afford the high prices. This means more customers are on cellular plans with limited data capacity. To counteract this, many apps, including YouTube, have locked the ability to change video quality on mobile networks. Recently, there have been reports that you can now change the playback quality of your favorite YouTube videos, and these have been confirmed. 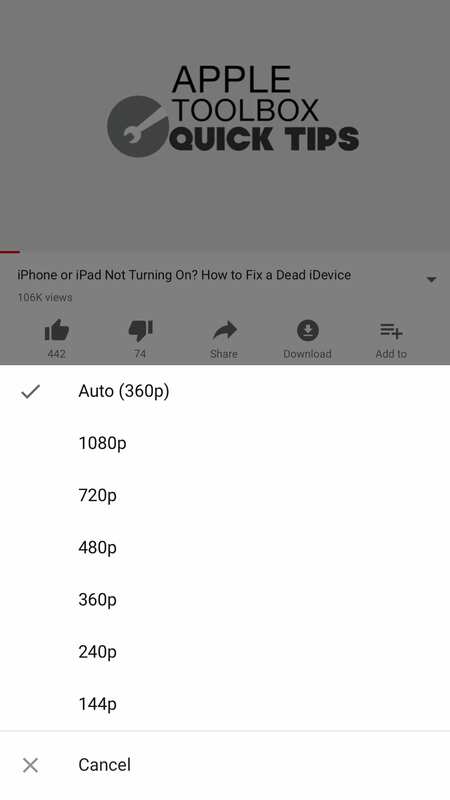 On all of our iOS devices in-house, you can now change the playback quality of videos, even if you are not connected to a Wi-Fi network. Of course, doing this will force your video to buffer to the chosen resolution. 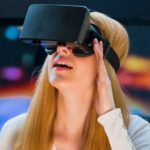 However, you will be able to view your favorite content in the highest quality possible. Just keep in mind that this will cause more mobile data to be used when you’re away from home. This next feature has been hit or miss for some folks, and it’s the ability to download videos for offline viewing. This was a feature available on YouTube for some time, but then Google introduced YouTube Red and things changed. 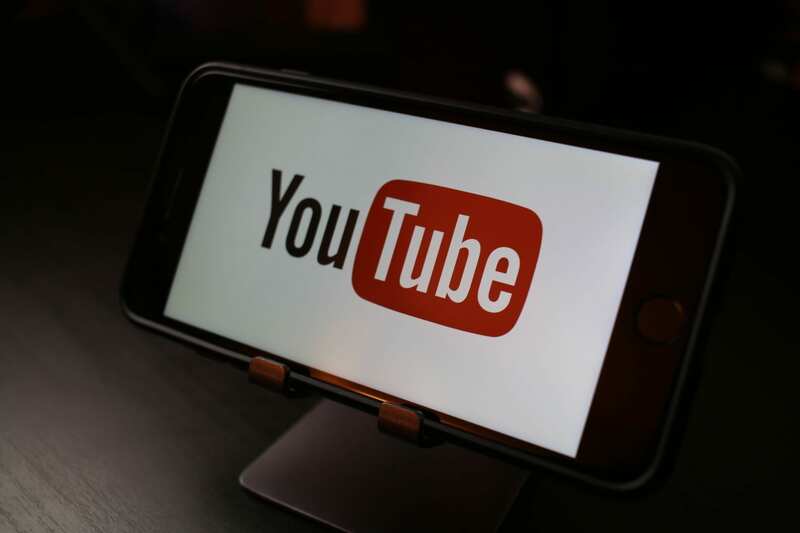 For the majority of YouTube subscribers, you have not been able to download YouTube videos for offline viewing unless you signed up for a YouTube Red subscription. 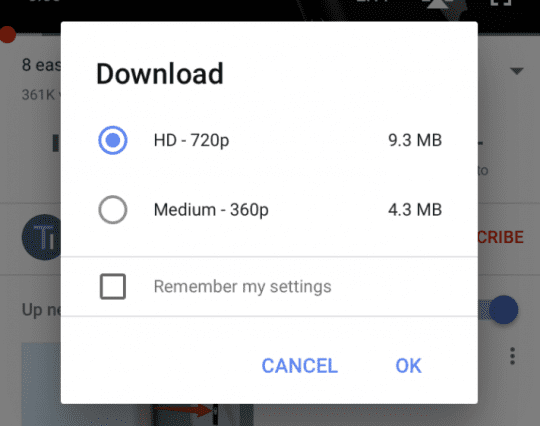 However, it seems that some folks have recently been able to download videos for offline viewing even without YouTube Red. The problem here is that this feature hasn’t officially been showing up for everyone. 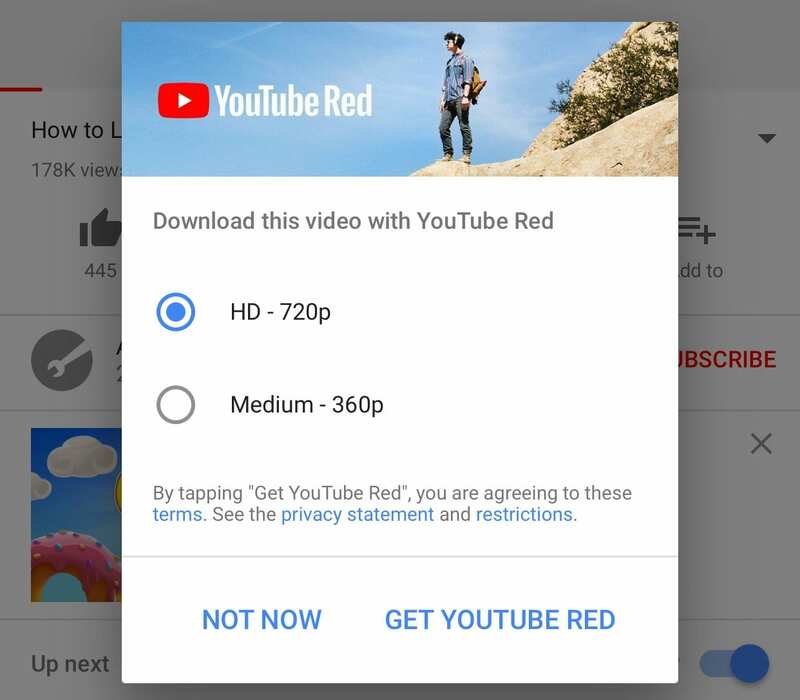 In fact, on my spare YouTube account, I am still prompted to sign up for a free trial of YouTube Red before being able to download videos for offline consumption. All of this means YMMV (your mileage may vary) and this may not be available to everyone just yet. Get YouTube Dark Mode now! 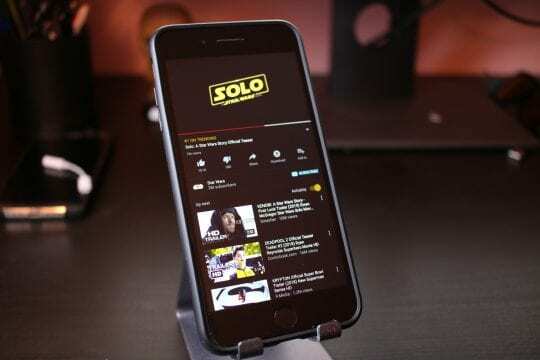 Probably the most highly-requested feature for the YouTube faithful (or any iPhone app) is a Dark Mode. Google has been working on implementing this feature on both iOS and Android for some time, and we may be nearing an official launch. As we stated above, this seems to be a staged rollout, meaning that not everybody has the Dark Theme option available in the YouTube app just yet. However, there is a nice workaround that you can take advantage of if you want to get a pseudo-Dark Mode YouTube experience. 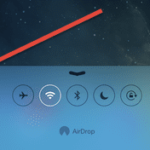 Once this has been enabled, simply triple-click your home button and Smart Invert will be activated. This will allow you to use the YouTube app in a pseudo-dark mode, although some of the colors may look a bit wonky. On the bright side, you will have a fully dark YouTube experience, even when scrolling through the comment section. Since more and more users over on Reddit have been reporting that Dark Mode has been making its way to devices, I’m keeping my fingers crossed for a full rollout soon. Nonetheless, this is a quick, little, workaround and one that will help you save battery life in the long-run. While these are just some of the best tricks to get the most out of YouTube, we want to hear from you! 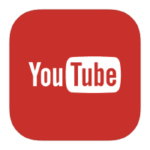 Be sure to let us know about some of your favorite YouTube tips and tricks in the comments below. So Long ProTube. 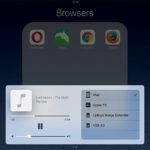 Is PodSync a viable option? Keep emails on Macbook, delete on iPhone?